The generator has 2 plug types - standard UK and 12 V DC for cars. Plus, it offers a USB port for charging mobile devices. The fuel consumption is pretty steep. We'll warn you straight away that this is a pricey model but it's also one of the most powerful out there and works with any devices that might need charging. If you have this portable generator in your car, your road trip won't ever fail due to a depleted battery or a dead smartphone. This is a great, if expensive, choice for domestic and remote use. The improved copper wound motor uses fuel very sparingly and keeps pollution levels modest. The model is very particular in terms of petrol it runs on. If you want a generator that offers a bit of everything, this is definitely the perfect storm of power, quiet operation, fuel efficiency, and quality build. Sure, it's a bit finicky with its fuel compatibility but the rest is stellar. Those who can spare the cost should definitely look into this amazing model. This portable electric generator weighs just 8.5 kg which, coupled with its small size, makes moving and using it much easier. The relatively tiny fuel tank won't be enough for long operation. 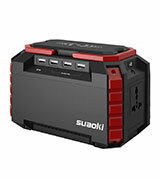 This is the perfect small portable generator for camping or long trips where you may need the power for using some appliances. 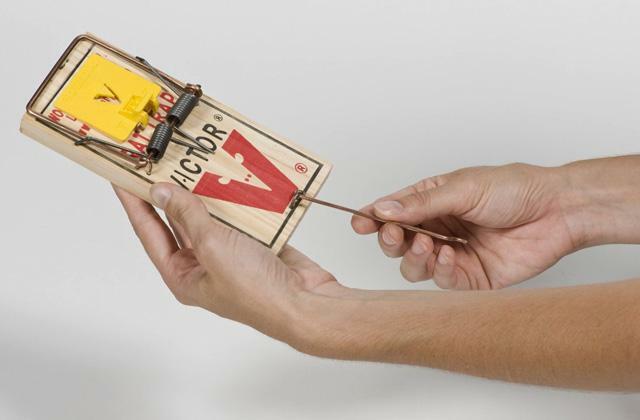 Thanks to its tiny size and very low weight, this product won't take up much space while still giving enough electricity to fuel several small devices. It's not suited for large-scale energy production and is intended for domestic/camping use. The air filter cover is easy to take off and the filter itself is simple in cleaning, which keeps this model's air pollution at a minimum. The 2-stroke motor is less fuel-efficient than the 4-stroke ones. 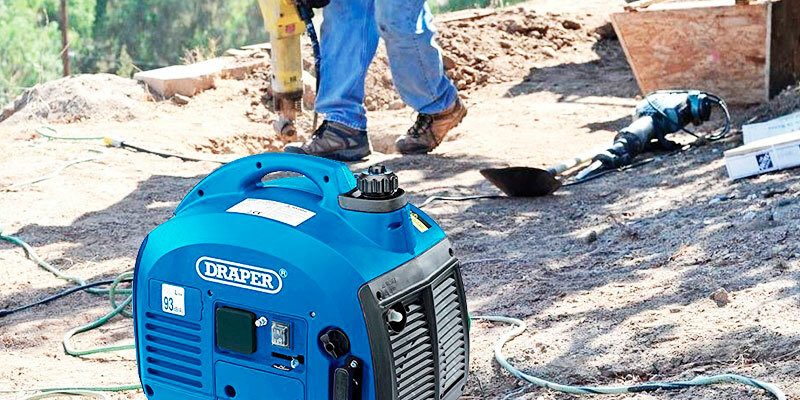 Though it has a 2-stroke engine compared to the 4-stroke employed in many high-end models, this affordable generator offers a formidable level of power. Plus, it makes maintenance easy, which is important for those with allergies, and doesn't run too loudly, which should be a plus for all. It's a budget-friendly option for those needing a good petrol-fueled generator. The patented battery management system controls voltage, temperature, and charge, keeping your device safe from any damage. Charging via solar panel isn't very effective. This is an eco-friendly and lightweight model that's great for those who want their generator to be just a bit close to quiet and don't need that much power. It's small enough to fit into a suitcase and needs no petrol, thus ending up a pretty cost-efficient option with an appealing price tag. It’s a huge pain to get stranded on the road when your car battery lets you down and it’s made even more painful if you don’t have enough juice in your phone to call for help. Now, this could theoretically be solved if you simply use a generator, but it would have to be compatible with quite a few device types to be effective. 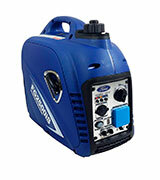 You might think that’s a pipe dream but the Ford FG2500iS Petrol Inverter Generator is exactly that kind of product. This generator is equipped with two socket types: the standard 230 V UK plug as well as a 12 V DC one for powering your car and its devices. 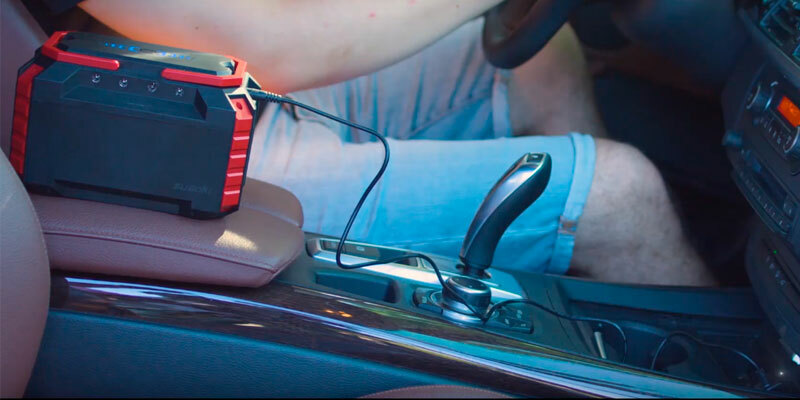 And we hear you asking “but what about my portable gadgets?” and even they’ll be juiced up in full as the Ford FG2500iS also has a USB port, designed specifically for them. You don’t have to worry about power output either as the generator automatically regulates it to match the receiving device. This is highly important as the generator would fry your electronics otherwise. Admittedly, this kind of self-regulation, as well as compatibility, comes at a price. Namely, the Ford FG2500iS has some steep petrol consumption. It’s not too outrageous for a powerful inverter generator but it’s still a downside to those who want an economic model. What sets the Ford FG2500iS apart from similar models is its extra-powerful 4-stroke 98 cm³ engine. 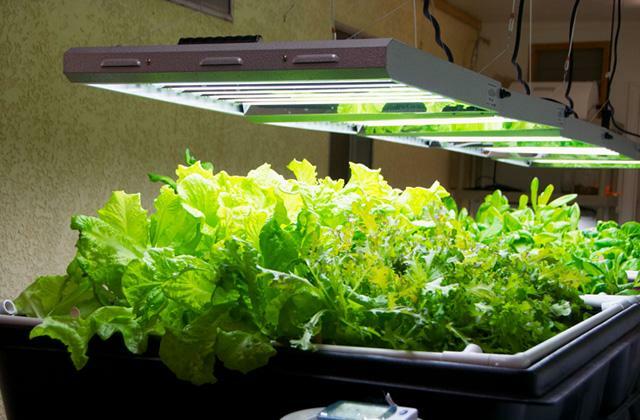 It produces up to 2200 W of power, enough to run an entire household if electricity shuts off. 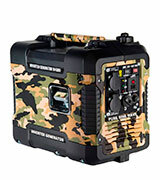 And, of course, more than sufficient for camping purposes as a portable stove and a few smartphones won’t deplete the resources of this generator too much. In fact, the Ford FG2500iS is one of the few models you could realistically use to power electric tools that need a lot of juice to get going. And even though it takes a lot of power, the engine here can run for 6 hours at a time on a full 4.5-litre tank. Remarkably, this model is pretty quiet considering how powerful its engine is. 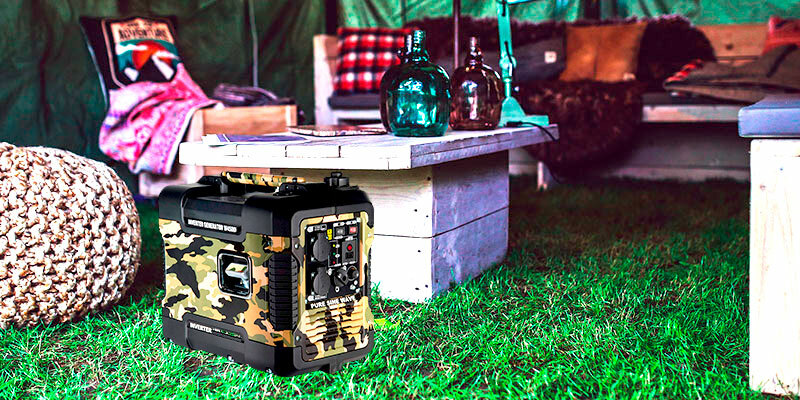 Sure, it’s not whisper-silent but even a few dB can make a big difference, especially when you’re out in the wild and want to take in the sound of nature and not the noise of a generator. 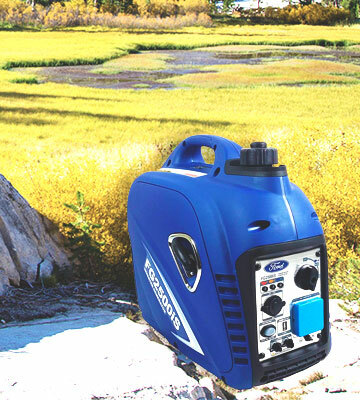 We concede that the Ford FG2500iS Petrol Inverter Generator isn’t the cheapest model on the market but it brings the kind of quality to the table that you’d be hard-pressed to find anywhere else. It’s compatible with almost any device type, remarkably powerful, and kind of quiet for its engine type. So if power is what you seek and the price isn’t a concern, the Ford FG2500iS is a coveted find. Using a portable generator is not an optional thing sometimes but it can get pretty pricey considering how much fuel some models take. However, there are, as always, more efficient and, thus, budget-friendly alternatives out there. Today, we present one such model in the form of the Böhmer-AG W4500i Petrol Inverter Silent Generator. This generator is equipped with a modernized copper wound motor, which means it uses fuel extremely sparingly. All the while, the Böhmer-AG W4500i delivers performance on par with the high-end models. That way you save money on petrol and get enough power to run plenty of appliances. You might be wondering what the catch is with that kind of motor at your disposal. Well, the engine here is very particular about what kind of fuel it takes and using anything else might damage it. It’s not that big of a deal but it does require a bit of attention lest you ruin your generator by accident. On the bright side, the modernization of the motor has allowed for substantially reduced emissions. That way those seeking an eco-friendly option can use the Böhmer-AG W4500i as a sort of middle ground. After all, it manages to offer the kind of power only petrol engines guarantee and yet it doesn’t pollute the air all that much. With all the praise we’ve sung to the Böhmer-AG W4500i’s motor, you might be thinking we’re out. However, we have yet to mention how quiet this generator is. Yes, indeed, though this model uses a 4-stroke engine with some kick to it, it’s about as close to silent as possible. Even at 75% load, you won’t hear anything more than a steady hum at most. Combine this with the camo paint on the body of the generator and this could make for a great piece of hunting equipment. You could spend a night in the forest with this model keeping you warm or helping you cook without any noise scaring off animals. Speaking of spending time with the generator, at that level of load, a full 4-litre tank of fuel will last you 6 hours, more than impressive. But that’s just another bonus of a petrol-conserving motor. What’s impressive in an entirely different way, though, is the 1900 W max power output. It should be enough to sustain a whole household should the central grid go out, which is not something every generator is capable of. As you can already tell, the Böhmer-AG W4500i is a great option on all fronts aside from a few minor quirks. If you have access to the specific kind of fuel this model uses and can afford its above-average price tag, this is a great choice. It has plenty of power, works quietly, and keeps pollution low, offering up a well-rounded product in the end. The Trueshopping IG950i may not be the biggest and the strongest portable inverter generator but it definitely has some advantages over its bulkier competitors. For your personal convenience, this model weighs just 8.5 kg, much less than any of its counterparts, and it's thus very easy to move or transport from one destination to another. Despite its small size, the machine boasts a 2.1-litre fuel tank that you can fill up with petrol and run for up to 8 hours at low load. Quite impressive for such a tiny engine! Of course, a longer operation is out of the question, as this capacity isn't enough for running heavy-duty appliances. This type of generator would fit best for use at home during brief power outages. Of course, camping trips with one or two low-wattage appliances are possible too, especially considering the light weight and compact dimensions of the Trueshopping IG950i. Plus, the generator is easy to cover up during bad weather to keep it safe from the elements and make sure water won’t damage the carefully-crafted parts. 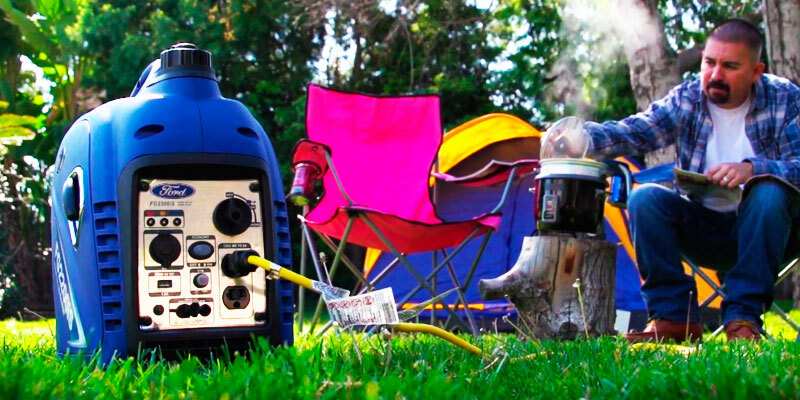 If you want, you can just put this tiny generator under a camping table. As the Trueshopping IG950i is preferable for home use, the question of noise really matters for customers. Luckily, this product is not much noisier than the top-quality expensive counterparts. At 58 dB maximum, it's not overly loud. The main weakness of this particular power generator is its relatively low wattage, which will be sufficient to run a key home appliance like laptops, TVs, or radios. While bigger models are capable of powering entire rooms at once, the Trueshopping IG950i focuses on safety. The machine or, more precisely, its inverter technology controls the voltage to keep even the most sensitive electronics from being damaged by power surges and unexpected shutdowns. Overall, this little engine may be tiny and lightweight but it can still rival some of its bigger competitors. It's a decent choice for those needing a portable generator for home use during short-term power outages. 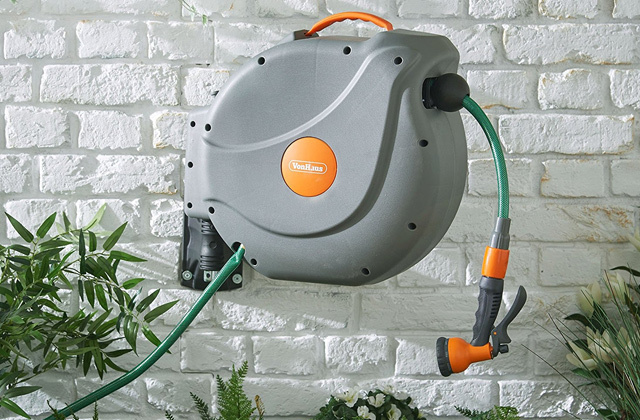 It can also be used to run small electrical tools if you want to do some work in the garage or the garden, but remember to check the wattage. The Trueshopping IG950i doesn't have a big fuel tank or high power but it does win in compactness, noise level, and safety, to say nothing of how easy it's to put this generator into something like a gym bag and carry around. 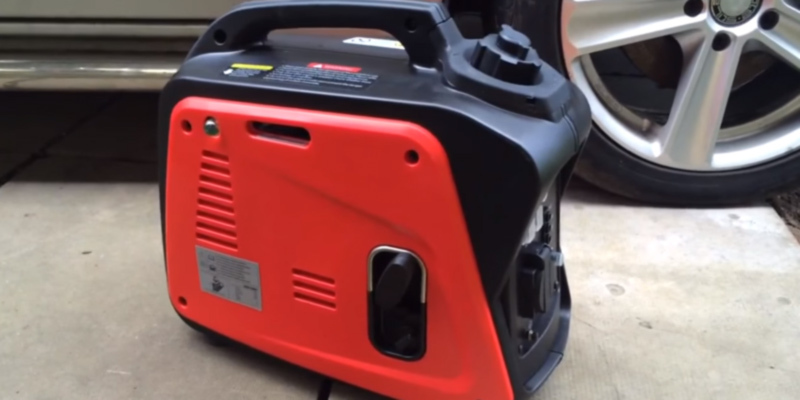 It’s not always smart to spend lots of money on a petrol generator, especially if you don’t plan to run an entire household’s worth of appliances with the device. If you’d prefer to pay less and get just enough power with a few more benefits, consider buying the excellent Draper Tools 28853. Although this model has a 2.5-litre fuel tank, a bit less than some of the bigger generators on the market, it’s more than enough to run for 6.5 hours at 75% load. That alone puts it up there as one of the most sustainable portable power sources that doesn’t weigh all that much. With a 0.3-litre oil tank, you can keep the engine running smoothly without worries of damage. And if you do miss a round of maintenance and damage your device, you can rely on the 1-year warranty to save the day. 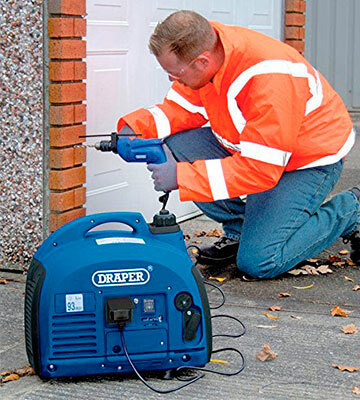 The Draper Tools 28853 might just be the best portable generator running on petrol for those who have allergies or respiratory issues. 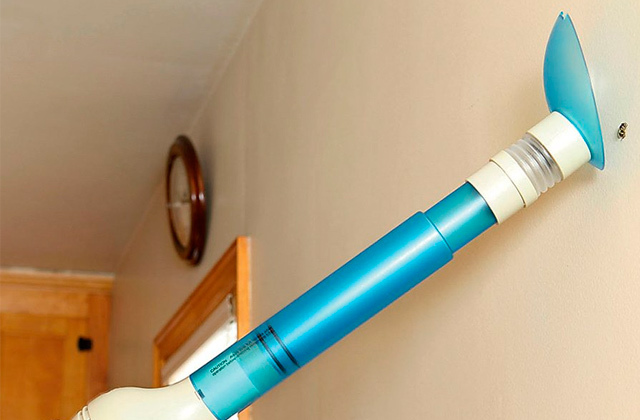 This model provides easy access to the air filter via a quick-snap cover, so you can take it out and clean the filter of any debris and dust. 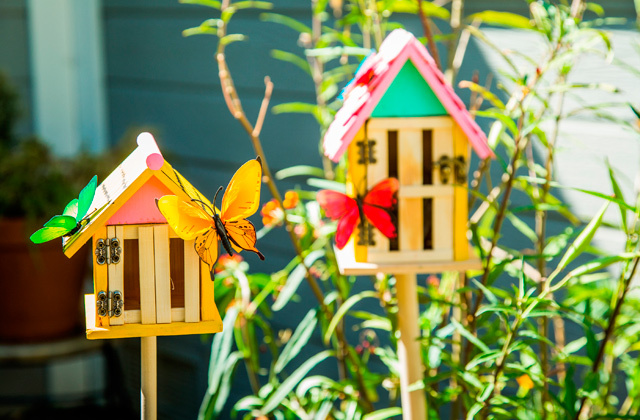 That kind of maintenance will go a long way toward keeping your environment healthy and holding allergies at bay. Speaking of safety in use, this model also has anti-vibration feet to keep it standing firm even when it’s rattling away at full power or driven around in the boot of your car as you venture out camping. 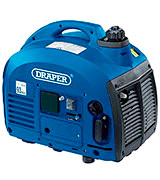 Although the Draper Tools 28853 does run on a petrol engine, it uses a 2-stroke one instead of a 4-stroke model. This makes a bit quieter than most generators on the market, a big plus if you plan on running it for domestic appliances when power is out. Though, of course, it also won’t hurt if you want to juice up some electronics on a camping trip but prefer to sleep to the sound of crickets rather than a petrol engine chugging away. Admittedly, 2-stroke might have its advantages but they do come with some downsides. Namely, it uses more fuel and provides less power, reaching its maximum at 630 W/ 700 W. It’s still a very respectable level but definitely something to keep in mind when hooking it up to your appliances. 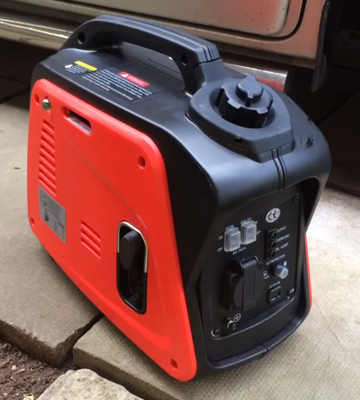 All things considered, we can safely call this the best portable generator in terms of runtime and it’s certainly no slouch when it comes to quiet operation. And though we spotted a few flaws, they weren’t major and, overall, the Draper Tools 28853 comes out on top thanks to a maintenance-friendly design and an appealing price. 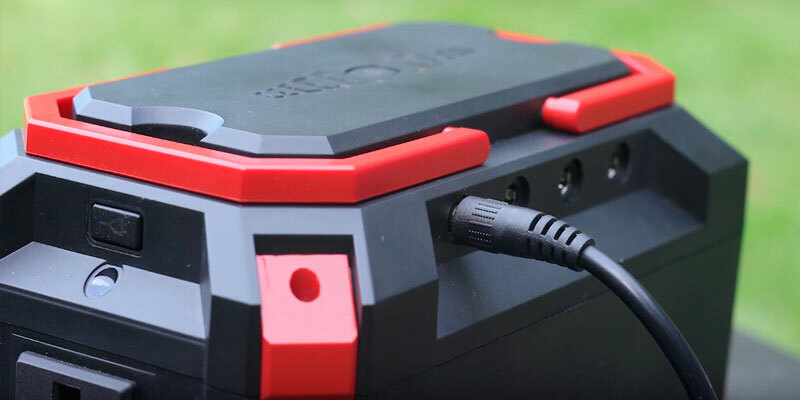 Not everybody is trawling for the most powerful generator out there, especially people who want a lightweight portable generator that can be used for camping without harming the environment. Sometimes it’s smart to sacrifice the petrol-fueled monstrosities for a small model equipped with a solar panel, something like the Suaoki S270 Power Generator. There are quite a few advantages to using this model if you want to fuel your appliances with no access to electricity. Firstly, this model is mostly silent which means you can use it at any time of day and in any circumstances without ruining someone’s sleep or conversation. Now, admittedly, the lack of a noisy engine also means a cut to the power level as the Suaoki S270 operates at just 100 W / 150 W. It’s not much but it can help power a basic domestic appliance or two if power is out or you’re away from home. 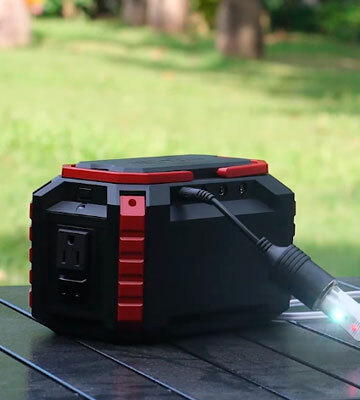 Using just this mini generator, you could keep your phones and tablets juiced up while you’re on a nature getaway with friends or family. What’s most important though and what makes this one of the best portable generator options is the Suaoki S270’s low weight of just 1.3 kg. That kind of compact device will easily find a spot in the boot of your car or even in your suitcase, if it’s large enough. Heck, you could even feasibly carry this model in your hands for a while. When it comes to using the Suaoki S270, you won’t have to worry about outages or voltage drops as it uses the patented battery management system to keep voltage levels, temperature, and capacity in check. There won’t be any charge leaking or shutdowns so you can camp safely, knowing that there’s some power in your pocket all the while. Speaking of the battery, though it can be recharged via a solar panel, it’s really not the most efficient way to do things. Charging it via a plug at home is much faster though, of course, not as eco-friendly or inexpensive. Still, it beats using a generator that runs on oil. And you do get 4 whole hours of runtime on a single full charge, more than enough if you need to sustain your gadgets on a long car ride or want a quick hit of power for your phone. In the end, we admit that the Suaoki S270 isn’t the most high-powered option out there. It is, however, a budget- and eco-friendly one with enough juice to keep your gadgets running. Plus, it’s not going to disturb your beauty sleep if you run it while camping and the ability to charge via a solar panel frees it from dependence on the regular electric grid. Those seeking an alternative to noisy inverter generators that run on petrol will love this model. Nowadays, the mankind can barely exist without electricity. Every day we use scores of electrical appliances, such as a fridge, cell phone, computer, etc. However, what if some accident happens and the power supply is off? Some areas in the world are particularly prone to earthquakes, which means power outages are highly likely. And that's why the best solution is to have a portable independent power source that will help you generate electricity and power your house. Such power sources are called portable generators and they are used everywhere electricity is needed! We have shortlisted 5 most popular portable generators so that you can pick the one you need. If you wish to light your yard without using electricity, get one of the solar lights from our brand-new review. And if you like camping and picnics, you will certainly take advantage of a camping stove. When you try to pick out the best portable generator for a home or a trip it’s important to know just a few key characteristics. While the range of models available is huge, the main differences lay in these parameters. 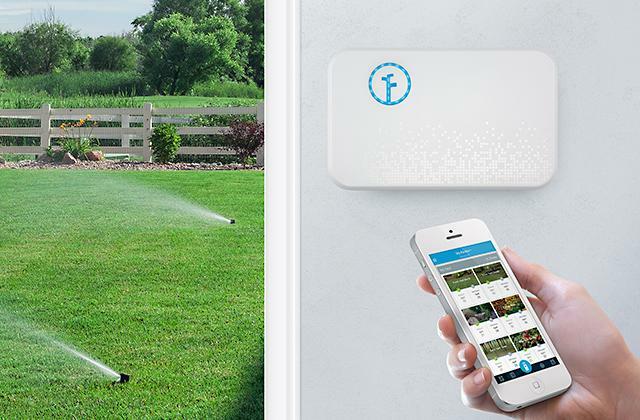 First off, see whether the product you’re looking at is powered by fuel or solar energy. The former ones are less environmentally friendly but they are more popular with a broader line-up of models. Plus, solar portable engines are less powerful as they are a relatively new step in the technology’s evolution. 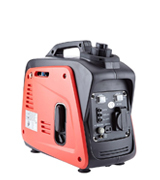 For now, a petrol generator seems like the most viable option, so we picked out the best 5 of them that we could find. 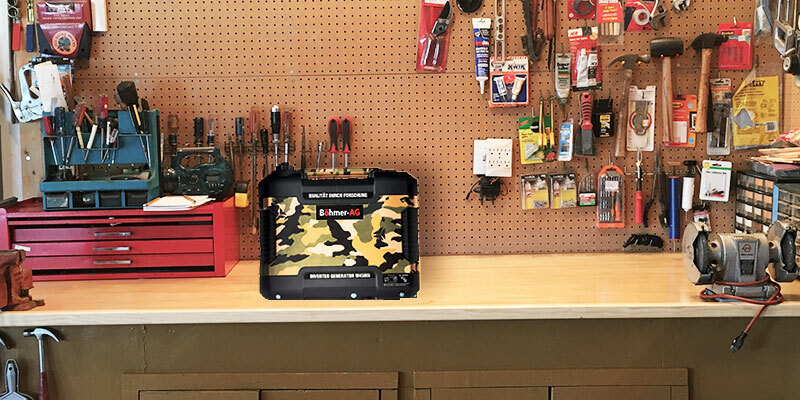 You can, of course, search for a portable battery powered generator, but those are less effective as the charge tends to "leak" over time and may leave you unprepared for an outage. Next up is the factor of noise. If you want a generator to keep in your yard or just for small camping parties, you’d probably require one that didn’t make much of a ruckus. This parameter is often omitted from the product descriptions but you should still check for it just in case. Reading reviews, such as ours, also helps to find the important characteristic. Obviously, you have to take into account the power output which is what you’re buying this product for in the first place. 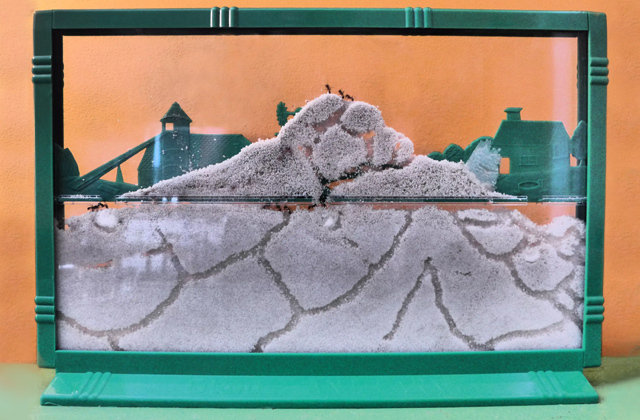 The smallest models might make around 600 W, which would be enough to sustain a microwave oven or refrigerator or, alternatively, a couple of laptops, which seem to be just as essential nowadays. Finally, make sure to see if the model is an inverter generator, which is safer for your electronics, makes less noise, and can give you power as you need it without operating constantly and wasting fuel. 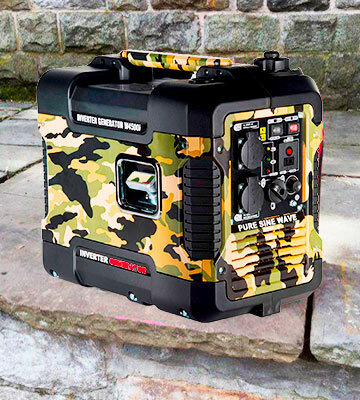 Portable generators are handy backup sources of power for camping trips, electricity outages, or running electronics away from a power outlet. 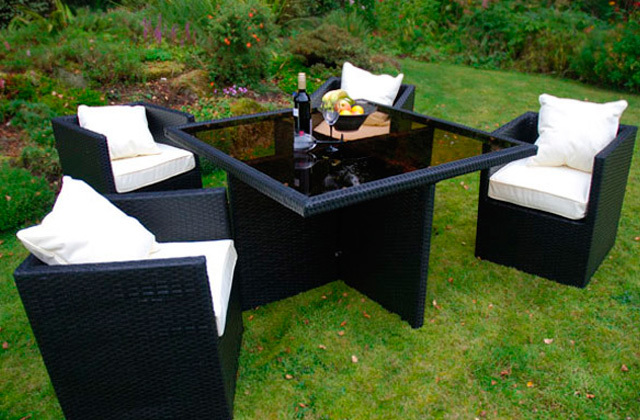 But even the sturdiest of them need occasional maintenance, which may be tough to do without any prior knowledge. So here are some handy tips on what you need when working with these machines. First off, let’s do the obvious and save some time by making sure the product you’re choosing has a good warranty. The five that we’ve picked out for you have warranties of 1+ years, more than enough to make sure everything is set up and running properly. Plus, even if something goes wrong, you can always fall back on the warranty to help you with any damage to the generator that you can’t get rid of on your own. Next up, always remember to change oil regularly and keep some backup oil and filters on hand at all times. Just having a couple of them in storage will save you a cumbersome trip to a store if you get caught in an outage with no backup filters or oil. 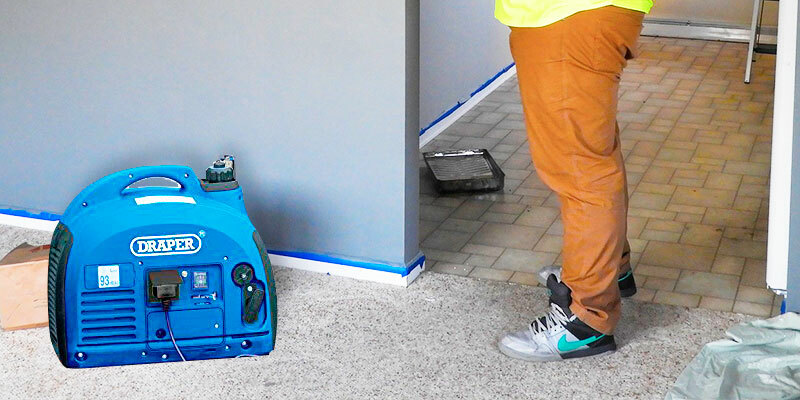 With a portable generator, a couple of minutes of preparation can prevent hours of unnecessary maintenance and repairs. The next tip is twofold and both parts are important. Number one is to keep your fuel tank filled up when running it for long periods. You don’t want your generator to run out of power suddenly and leave you in the darkness, fumbling with a canister of petrol. Number two, strangely enough, is to drain the fuel tank completely. Of course, you should drain it after you’re done with the generator and before you store it somewhere until the next emergency. 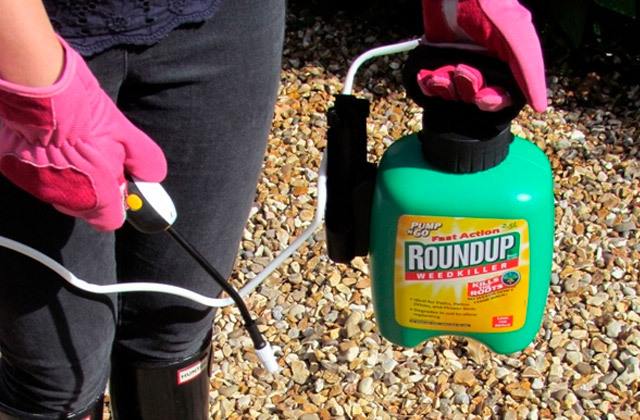 It is usually recommended to remove gasoline carefully, perhaps with a vacuum syphon, and then run the engine briefly until it uses up whatever little fuel is left and shuts down. After that, it should be okay to put the engine away until later use. Also, essential to your safety, do not start refuelling a generator after you’ve just used it for hours. The engine in such a machine, like all others, tends to get quite heated. Mixing easily combustible petrol and scalding engine parts is not a great decision, especially when you’re in an extreme situation like a power outage. Just wait for 10-15 minutes until the machine cools and proceed with refuelling. Another tip, usually advised by the manufacturers themselves, is to start the generator every month or two, just to make sure it’s running smoothly and nothing is broken or damaged. That way you will not be caught unawares when a storm takes out your electricity and you try to start the engine in the night only to get a bit of sputtering and no power. This rule is something that a lot of people seem to ignore, but this five-minute easy process is vital to keeping your generator running smoothly. And, lastly, remember to read up on generators and pick out the model carefully. A backup source of power is not a one-second buy and, before you get something so important, you should make sure it’s up to your electricity needs and meets the safety and quality standards. Of course, we’re here to help you out and the above product guide should be of some help. Q: Why do I see two different wattage amounts in the characteristics? A: The rated wattage is how much power your generator can give you constantly and with no interruptions. This means that it should support any appliance that requires this wattage with no issues. Maximum watts are the number that the engine can give out for short periods only, like bursts of energy. This is important for electronics that might need more power when they start up or operate at peak speeds. So, make sure to check both levels and see if they can support whatever electronics you plan to power. Q: Is it safe to use a portable generator during a power outage or a natural disaster? A: A power outage is actually one of the main situations where you might need one but make sure you have it fueled or charged up before it happens. Natural disasters such as earthquakes, hurricanes, or flooding may cause electricity failure, but if you’re in a safe place such as a shelter or reinforced basement, you can still use a generator as long as you protect it properly and keep it out of an enclosed space. Do not run it inside the shelter or whatever indoor spot you’re in. Make sure that the machine will not be damaged by the disaster or its results. 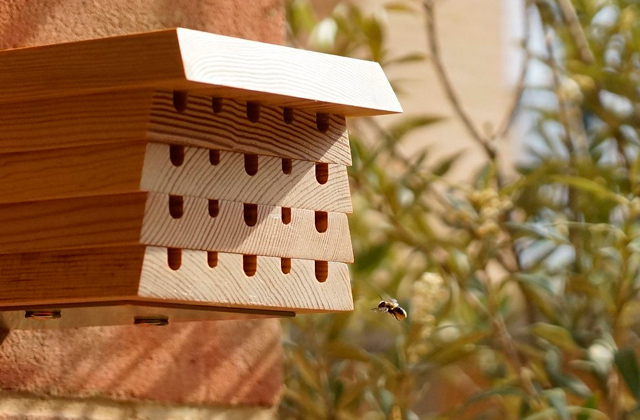 Do not place it in wet areas or anywhere with a chance of debris falling. In short, exercise caution just like you would with any other appliance. Q: Is it possible to run this machine in an enclosed area like a house or an apartment? A: No! And it is actually dangerous. 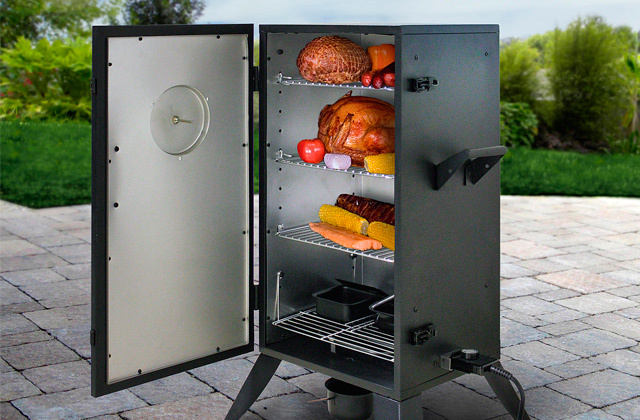 These powerful little engines are designed for outdoor use so that they can take advantage of plentiful natural ventilation. The result of a portable generator operating is exhaust that contains carbon monoxide, which is highly poisonous and could easily fill up a room to the point that it will harm your health significantly. Hundreds of people die every year from carbon monoxide, so be sure to read up on safety tips. 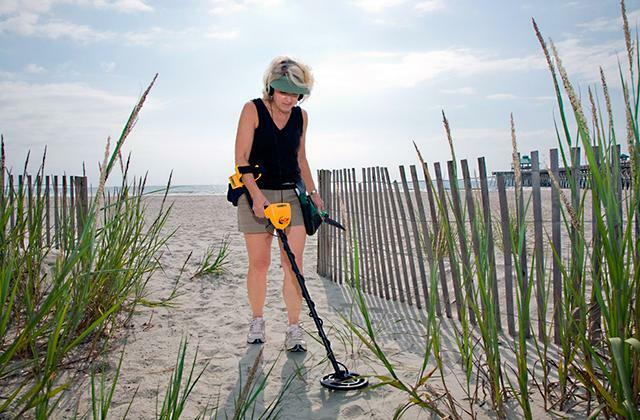 Q: Am I required to ground my portable generator? A: You should definitely ground it for your own safety because you risk being electrocuted otherwise. Luckily, it doesn’t require anything beyond the standard grounding regulations, and this process is not difficult at all. Just carefully follow the steps and ensure that your experience is safe. Q: I’ve picked out a generator, but it doesn’t have wheels, how important are they? A: Well, it depends on how often you will need to move the machine. If it’s lightweight, you can probably carry it by hand with no issues, but a heavier one would likely to benefit highly from a wheel kit. 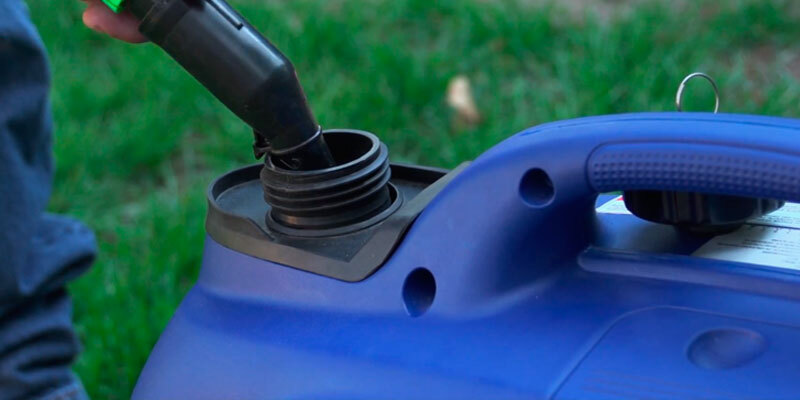 Q: I have a petrol generator, can I use any other fuel types on it? 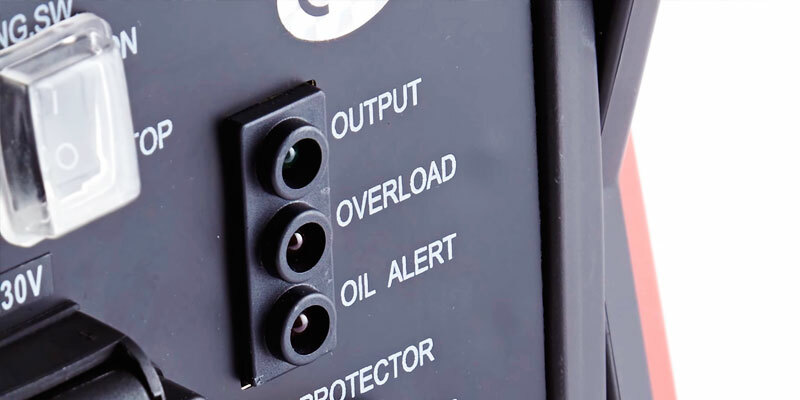 A: Most generators have a specified fuel type and, unless you want to risk damaging such an important machine and, possibly, yourself, you should not change the fuel type. Consult a professional or contact the manufacturer to see if it’s possible or not. Also, you can check up on other engines that can even be powered by solar panels. 1. Choosing the Best Power Generator, The Family Handyman. 2. Generator Buying Guide, Consumer Reports. September 2016. 3. Portable Generator Buying Guide, Lowe's. 4. Robert Richardson Emergency Generators: How to Choose the Right Generator for Your Home, Off Grid Survival. 5. Portable Generator Buying Guide, eBay. November 6, 2014. 6. Generator Safety: Using Portable Generators Safely, OSHA. 7. Portable Generator Safety Tips, National Safety Council. 8. Portable Generator Safety Checklist - Dos and Don'ts, The Spruce.